"Hong Kong’s Political System ABC – Starting from the Recent Dispute"
A speech given by Zhao Xiaoming, director of the Liaison Office of the Central People’s Government in Hong Kong, in a symposium on 12 September to mark the 25th anniversary of the Basic Law has caused great controversy. The title of the speech was “Understand the Features of Hong Kong Political System Correctly”. Question: What do you think about the dispute over Zhang’s speech? Answer: I think the dispute is mainly about wording or expression, but not substantial legal issues. That is, what phrases or concepts should be used to describe or characterize the political system of Hong Kong (HK). The dispute itself is not of much practical significance. It will not affect or alter the actual operation of powers in Hong Kong’s political system. Question: What is the main theme or central idea of Zhang’s speech? This sentence should be uncontroversial. Article 12 of the Basic Law mentions that the HKSAR “comes directly under the Central Government.” Ji Pengfei, Chairman of the Basic Law Drafting Committee, in his explanation to the National People’s Congress in 1990 when the draft Basic Law was under consideration, mentioned checks and balance as well as cooperation between the executive and legislature, and the independence of the judiciary. As for “executive-led” government, it is a feature emphasized by Mainland Chinese scholars and officials discussing the HK political system since the 1990s. Question: Why then would Zhang’s speech cause such a great controversy? Question: What are the meanings of “Dual-Heads” and “Dual-Responsibilities”? Answer: This is a complicated legal matter, which is related to Article 43 and the Article 60 of the Basic Law. Article 43 provides that “The Chief Executive of the Hong Kong Special Administrative Region shall be the head of the Hong Kong Special Administrative Region and shall represent the Region. The Chief Executive of the Hong Kong Special Administrative Region shall be accountable to the Central People's Government and the Hong Kong Special Administrative Region in accordance with the provisions of this Law.” Article 60 further stipulates that “The head of the Government of the Hong Kong Special Administrative Region shall be the Chief Executive of the Region.” (As to the term “Government” mentioned in the Article 60, it is defined in Article 59 that “The Government of the Hong Kong Special Administrative Region shall be the executive authorities of the Region.”) Thus, “Dual-Heads” refers to the CE’s dual status as the Head of the executive authorities and the Head of HKSAR as a whole when representing the region. For example, the CE reports to Beijing as the Head of the HKSAR, and represents “Hong Kong, China” at APEC meetings. “Dual-responsibilities” means the CE is accountable to both the Central Government and to HK people. Question: In this case, does the position of the CE transcend or stand above the executive, legislature and judiciary? Answer: This is a matter of wording or expression, rather than a substantive problem. Since it is too abstract, it is of little practical significance. As mentioned above, according to the Basic Law, the CE is not only the Head of the executive authorities of the HKSAR, but also the Head of the HKSAR. From the perspective of the Central Government, the CE is elected in HK and appointed by the Central Government, and the CE has the role of representing HK. Zhang described this situation as the CE having “a special legal status that transcends the executive, legislature and judiciary”. As to the expression of “above the three powers of the HKSAR”, we should pay attention to its context in the full sentence, which is “the CE serves the function of a nexus below the Central Government and above the three powers of the HKSAR.” The focal point of this sentence is the CE’s function as a nexus between the Central Government and the three powers of the region, which is about communication and being a bridge, and not about the CE standing high above the three powers. Under the Basic Law, the CE enjoys certain powers, but he is also bound by the Basic Law and other laws of HK. The Basic Law does not grant any immunity or exemption to the CE in civil or criminal matters. “All Hong Kong residents shall be equal before the law”, says Article 25; “Hong Kong residents and other persons in Hong Kong shall have the obligation to abide by the laws in force in the Hong Kong Special Administrative Region”, Article 42 so provides. All these provisions apply to the CE. Question: Zhang mentioned in his speech that “the political system of Hong Kong does not practice the separation of three powers”. Is HK practicing the separation of three powers? Therefore, Zhang does not agree to describe or characterize the political system of Hong Kong by using “separation of three powers” mainly because HK’s political system is a local or regional political system rather than the “full mode of power of a sovereign state”. Yet at the same time he agrees that the principle of separation of three powers may be of “referencing and consulting value” to HK at the same time. 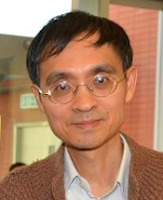 I mention above that Zhang’s main point in his speech was to describe the characteristics of the political system of the HKSAR, which in his view includes “checks and balances as well as cooperation between the executive and legislature, and the independence of the judiciary.” To HK’s legal profession and the judiciary, these features already count as “separation of powers”. A search on this English term on the HK Judiciary website shows it is mentioned in more than 70 cases decided by different levels of courts in HK. The court judgment in every one of these cases mentions the principle of “separation of powers” affirmatively. Written by Albert Chen and translated by Bella Liu. The original Chinese version of this article was published in Orange News on 17 September 2015.